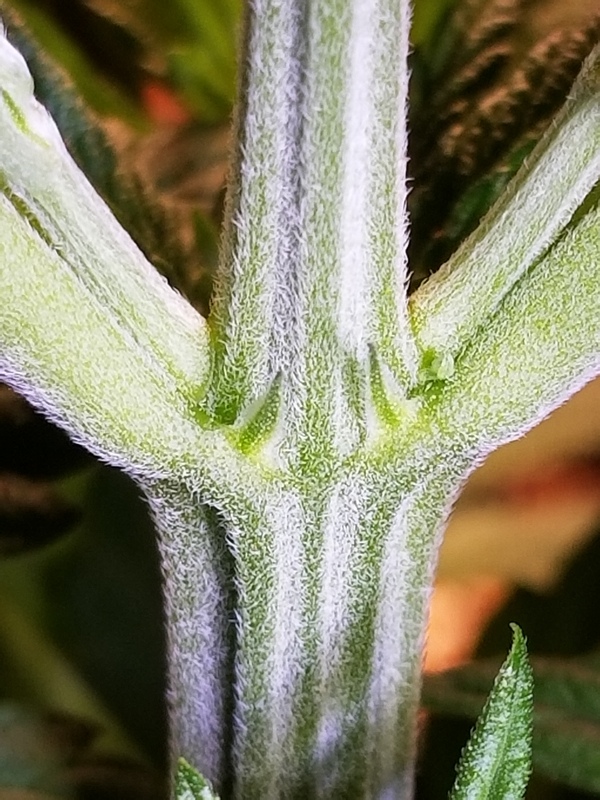 GDP about to show. What do you think? Whew it's early to tell but I'm gonna go with male on that GDP. 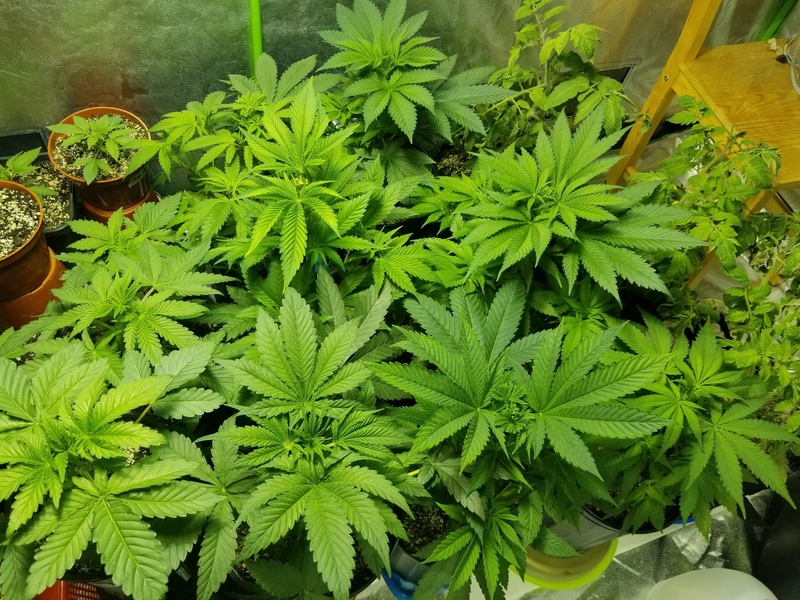 Great looking plants @PoppaPuff doesn’t look like you lost your touch one bit! Haha I am obsessing over them a little. Now that I have charcoal filter and air cooled hood functioning there is nothing for me to do anymore. Temp stays steady and humidity does as well. I'm literally bored finding myself just peeking in the window of tent 3 times a day. 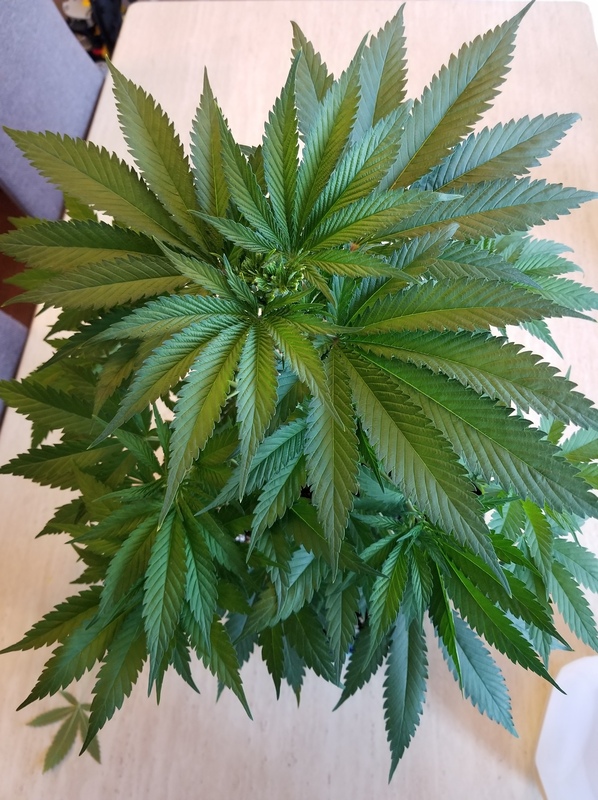 They are a very beautiful plants to look at for sure the leaf shape , the symmetry, color , smells it gives off a very zen feeling even if one doesn’t partake I could see someone just enjoy growing it! It's been very beneficial for my state of mind. Now if I could just smoke some of my own... thanks for popping in. 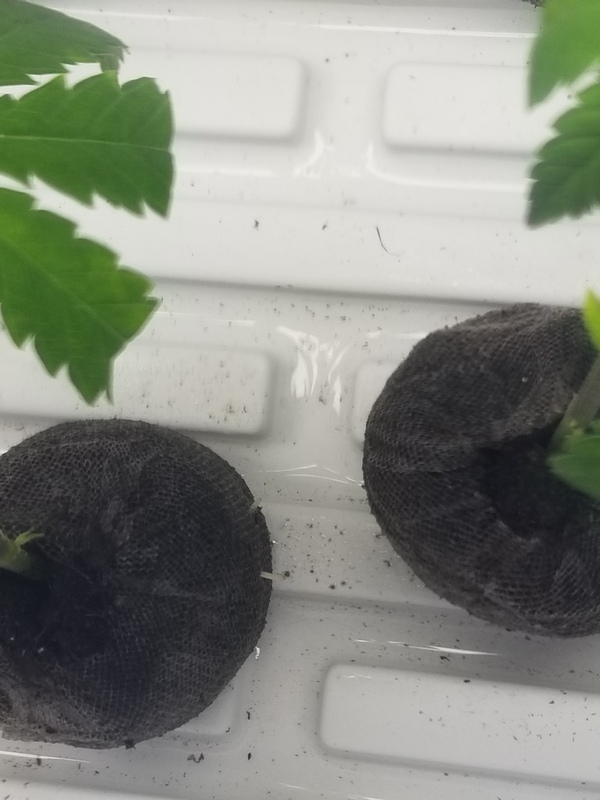 10 or 11 days first root. 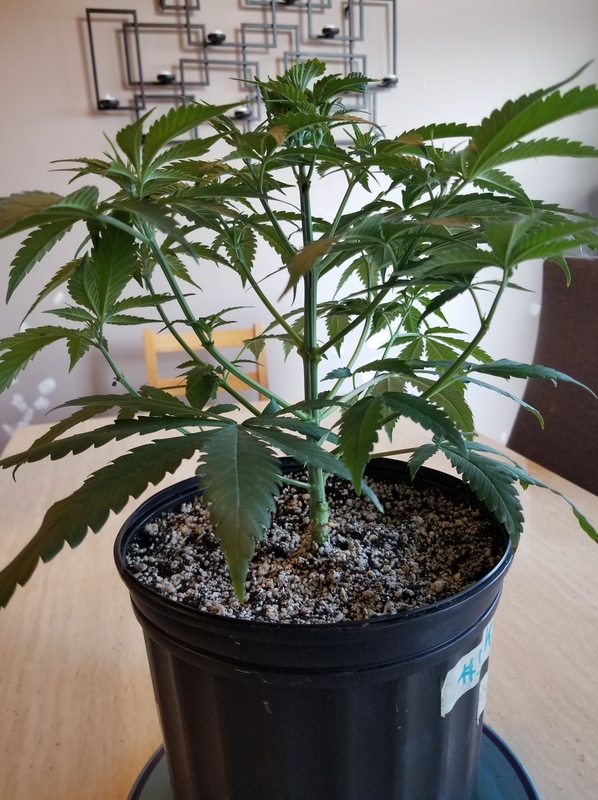 Been training her a little and removing thin branches from bottom. Have more to go. Really impressive plant. 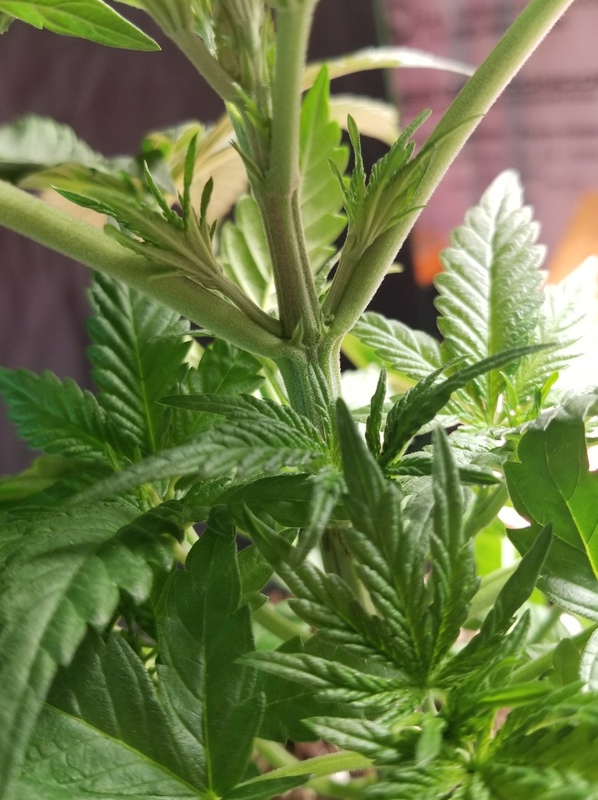 The more I remove leaves the more she grows them. 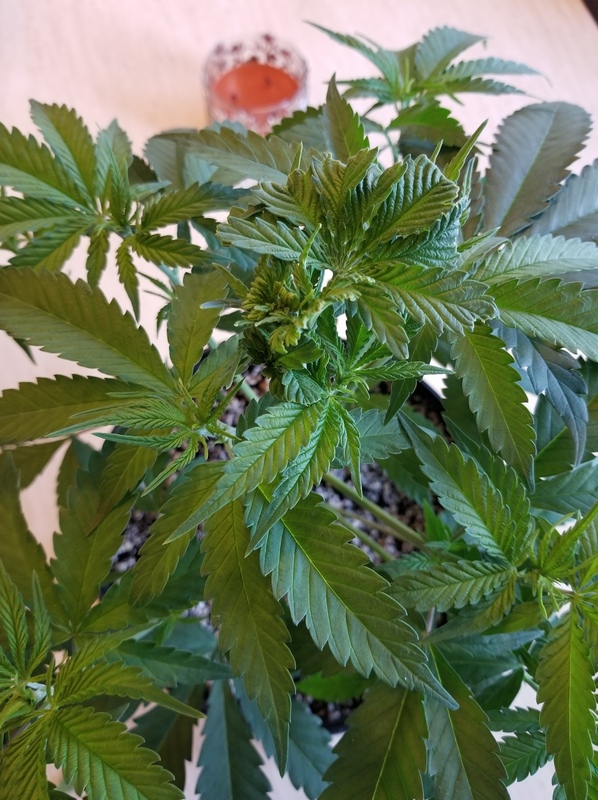 Removed lower branches and fed a low grow dosage. 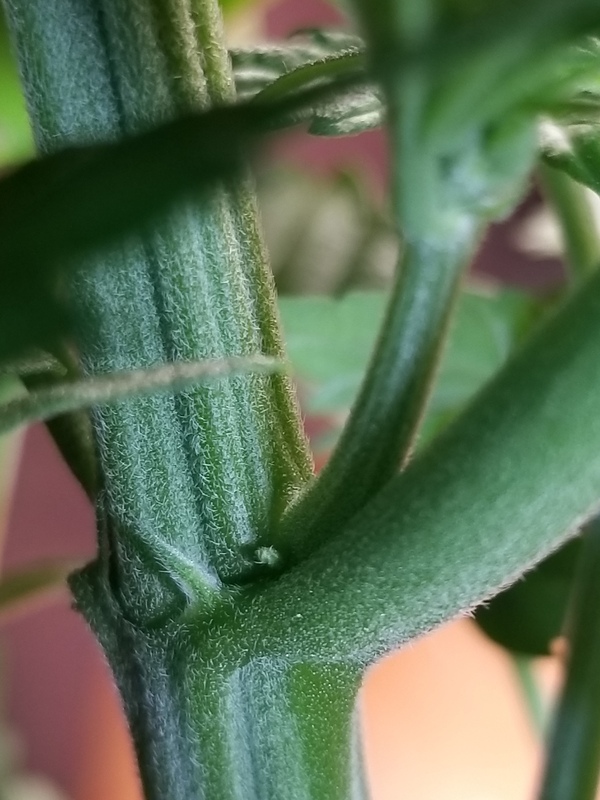 That’s a nice stalky stem on that plant how long has veg been now? Ya, I've got a cutting in water on my window sill that I hope will show quickly in this low daylight. @PoppaPuff you're killing it! 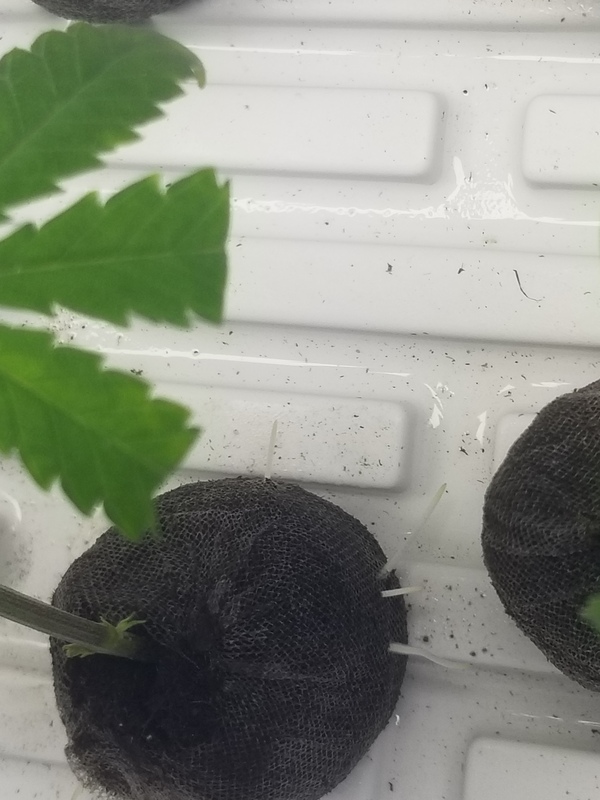 Clones rooted very well too. 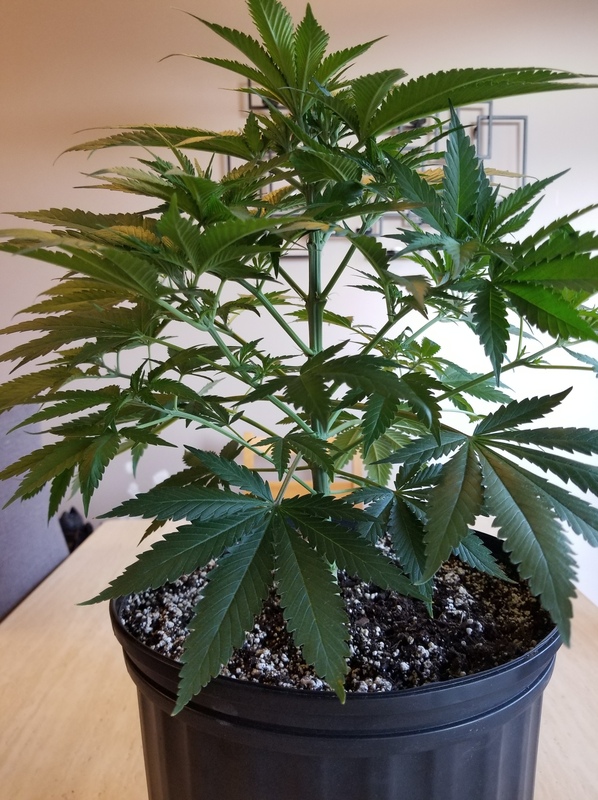 Any update on the GDP preflowers?